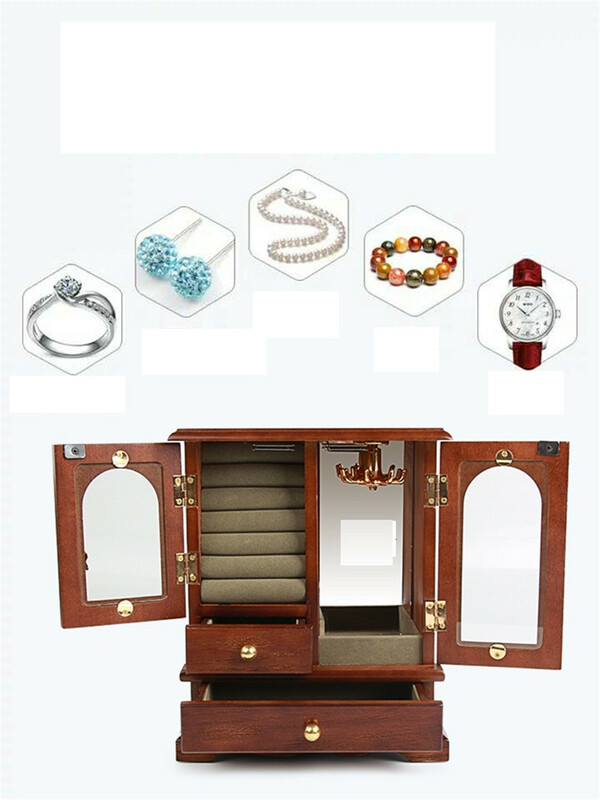 Different clothes require different pieces of jewelry, and over time we find that we get more and more jewelry, but if you buy a single big box and put all the pieces together you find that some pieces of jewelry get tangled up, and sometimes they break down. 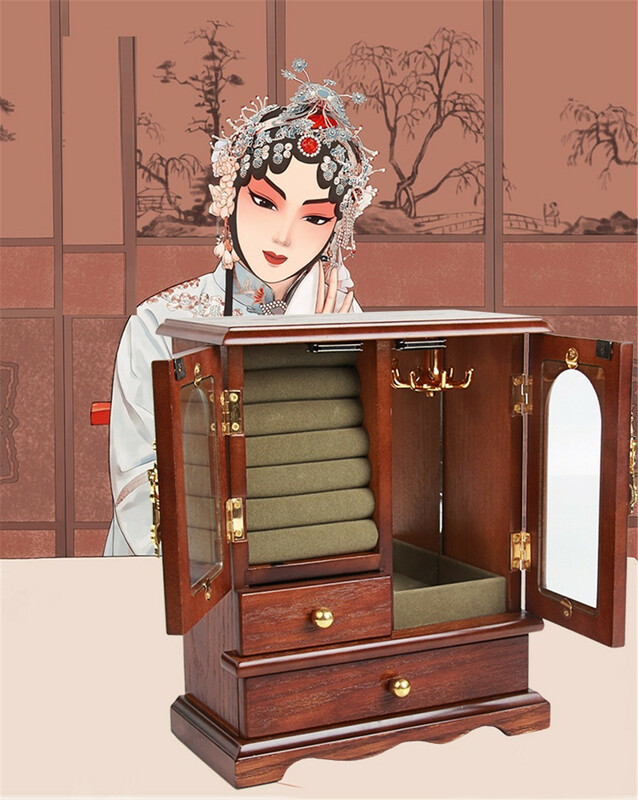 You may as well learn about our high-end antique wooden makeup box. 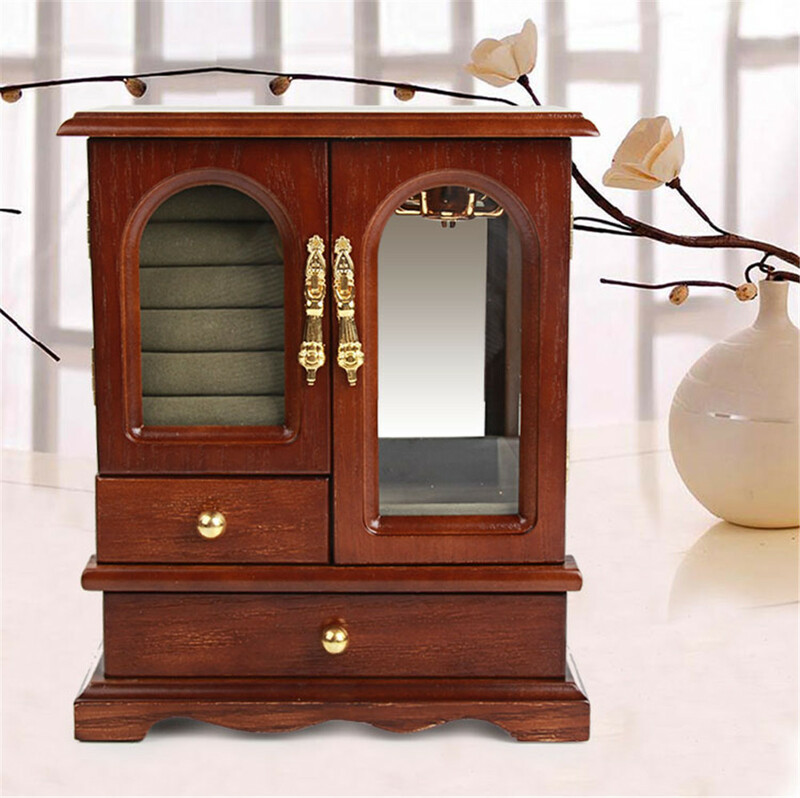 Our jewelry storage has the characteristics of archaize. 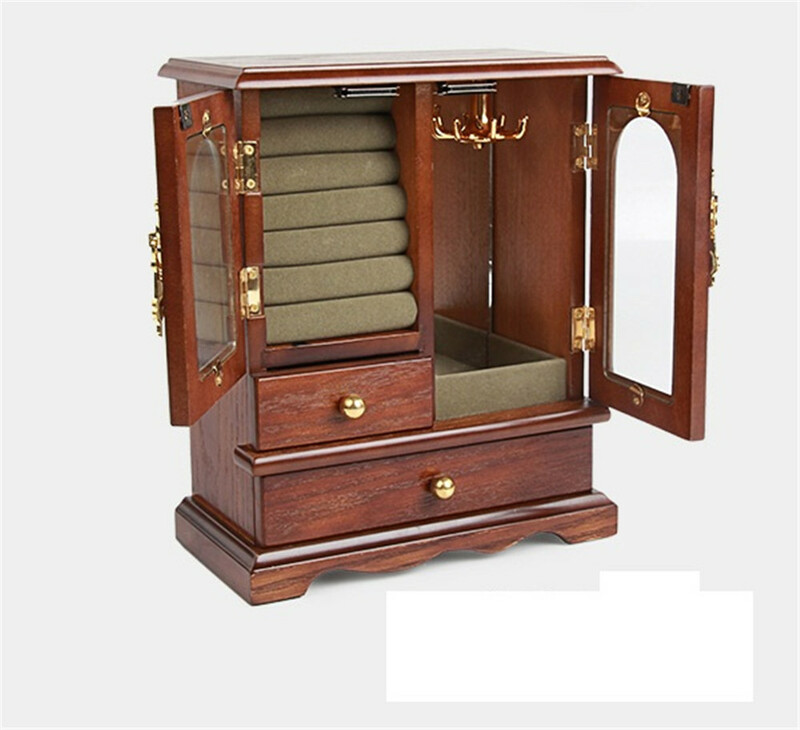 From the appearance, it is an archaize wardrobe. From the color, it is divided into two kinds, archaize and original ecru. 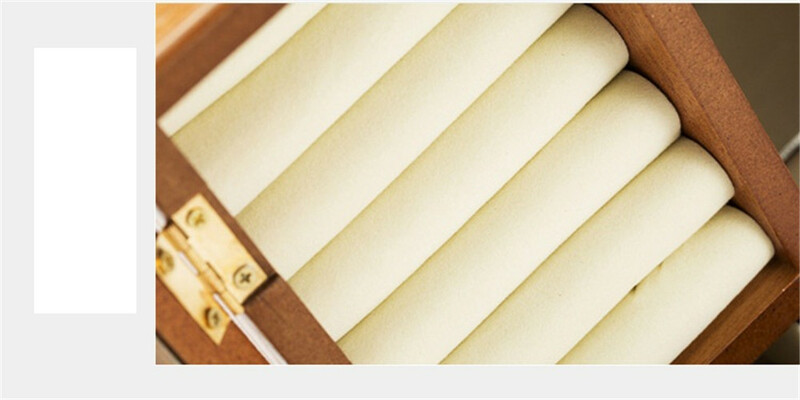 All of our raw materials are imported solid wood. 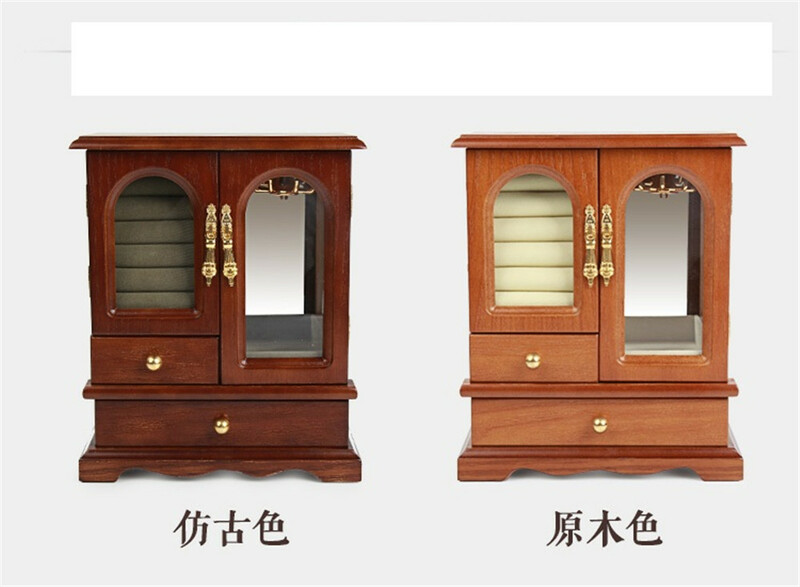 The high quality materials and the characteristic antique design add a certain level to this product. 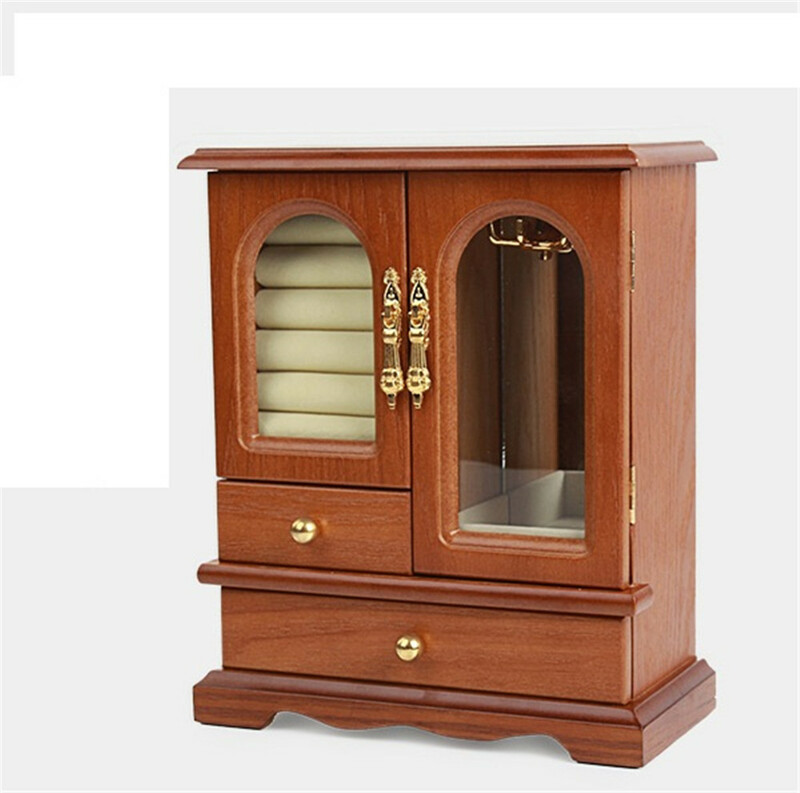 Our wooden jewelry cabinet is designed to be very ergonomic. 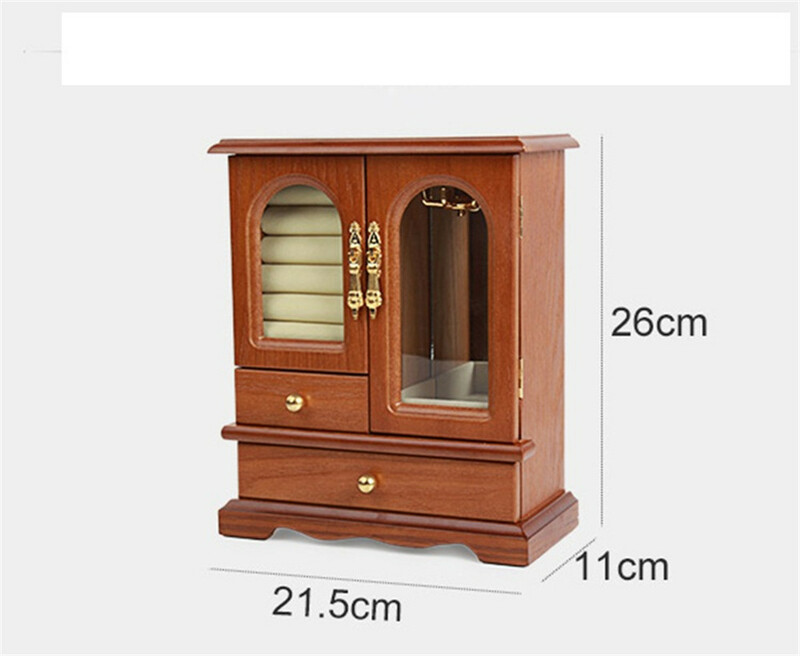 Open the door of the glass cabinet on the left. You can see the place where the ring ear studs are placed. On the right is the necklace. Use the swivel hook to hang the necklace. Plus, there's a small mirror in the back. Below are two drawers, one small and one large. 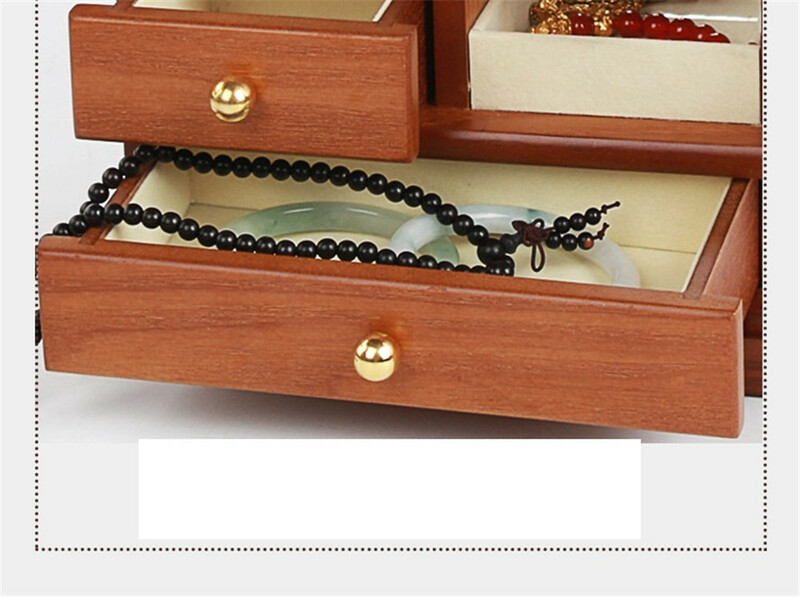 Two drawers will let you keep bracelets in different sizes. 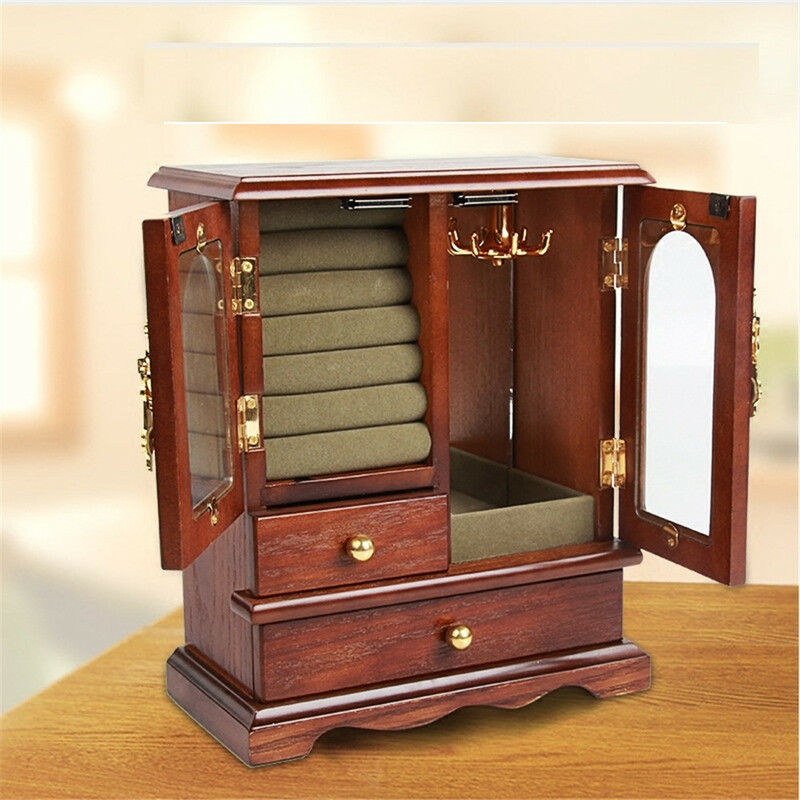 This very upscale and practical makeup box can be used not only for your own use, but also as a gift for your friends. 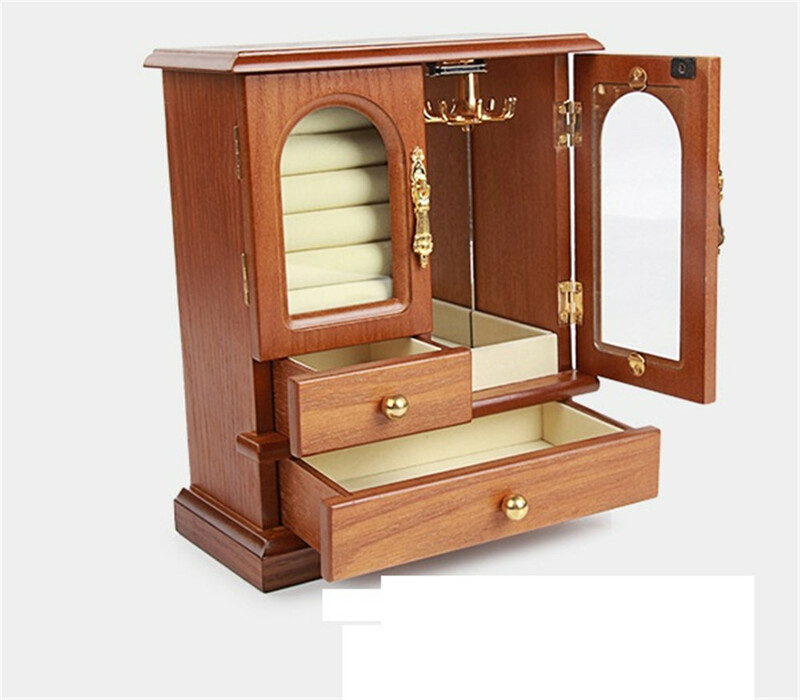 Looking for ideal Wardrobe Shape Jewelry Box Manufacturer & supplier ? We have a wide selection at great prices to help you get creative. 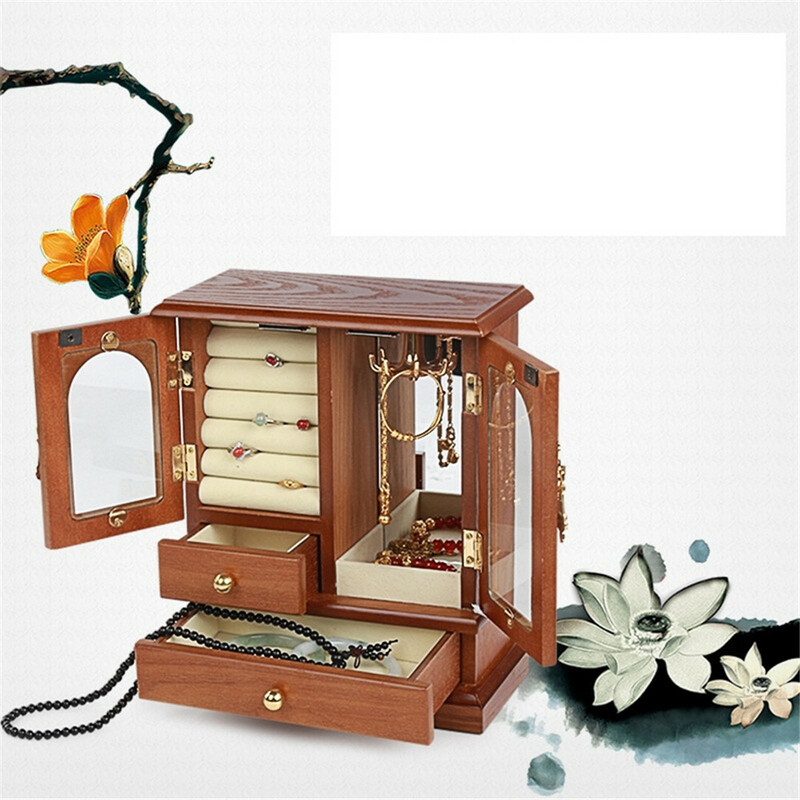 All the Hot Selling Man-Machine Design Jewelry Storage are quality guaranteed. 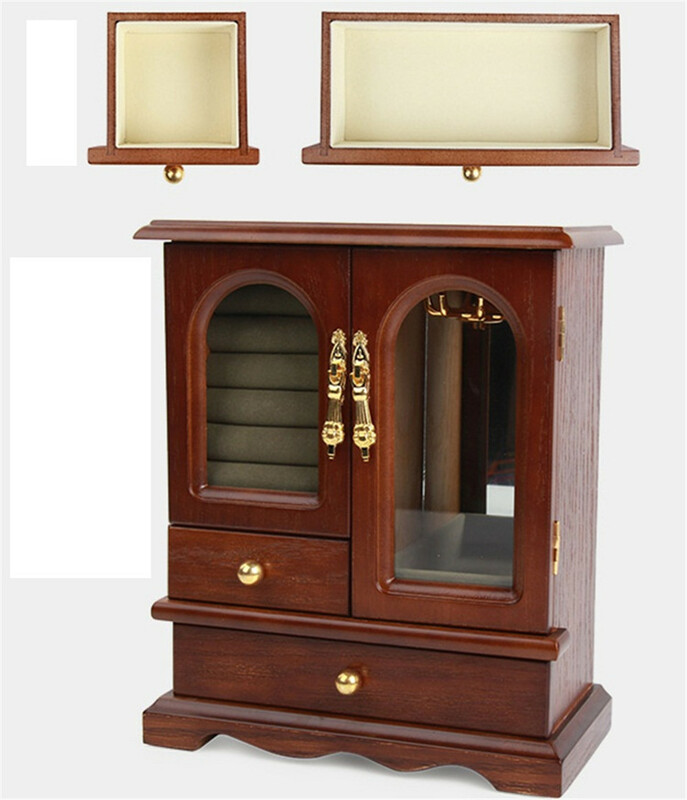 We are China Origin Factory of High-Grade Present Wooden Jewelry Cabinet. If you have any question, please feel free to contact us.